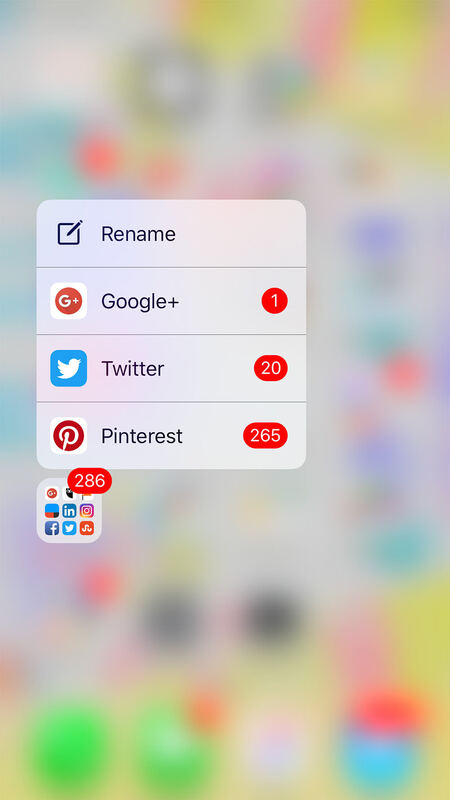 Having too many apps on your iPhone can lead to headaches when it comes to app notification management, especially if the apps are split into multiple folders. Fortunately, there is a shortcut that allows you to view all notifications for apps that are grouped into a single folder via the magic of 3D Touch. As this shortcut requires 3D Touch, youÃ¢ÂÂre going to need an iPhone 6s and above for this to work. Assuming you have the device, all you really need to do is to press on your app folder icon. Upon doing so, a list would appear on the screen, highlighting all the apps that have notifications tied to them. Tapping on the app will launch it, taking you straight to the notification. This 3D Touch shortcut is handy for those who would like a better way to keep track of their app notifications. If nothing else, this shortcut cuts down on the time needed to scroll through your folder to find the required app.